JEFFERSON — Jefferson County seems perhaps akin to the tortoise from “The Tortoise and The Hare” when it comes to its leaders’ patient, steady, methodical approach to developing tempting tourist destinations within its boundaries. JEFFERSON — The crew entrusted with making sure Jefferson County’s rural residents have access to broadband internet is not fooling around. Jeff Rauh of Ranger Power, left, discusses plans for solar power collection stations in the towns of Jefferson and Oakland Thursday afternoon with Chuck and Doreen Renz of Fort Atkinson at the Jefferson Area Business Center. 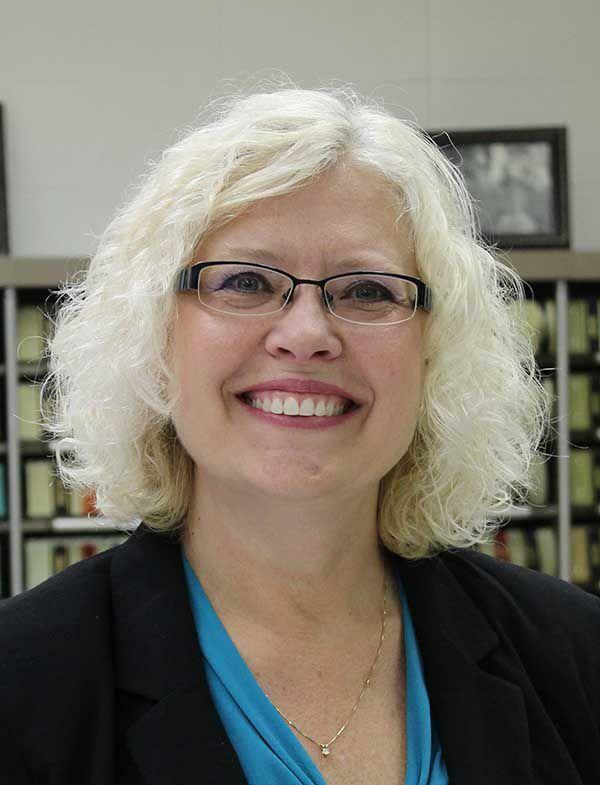 JEFFERSON — Replacing retiring Jefferson County Clerk Barb Frank will be Audrey McGraw. JEFFERSON — Jefferson County officials mixed business with pleasure Tuesday evening during their regular county board of supervisors meeting for March. Following a brief, good-natured, Dean Martin-style roast of retiring Clerk Barb Frank — complete with cake — the board tackled its business objectives for the evening, one of which included taking a significant step toward making the internet accessible for more people in the county. 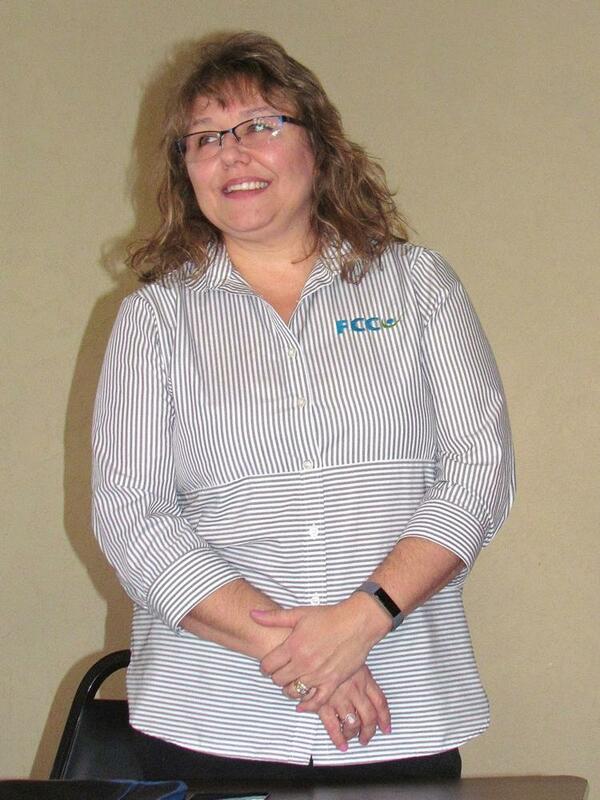 JEFFERSON — The Jefferson County Board of Supervisors on Tuesday approved creating a “working group” to address broadband internet access, and funding possibilities, for rural communities. March 08, 2019 Jefferson County vets encouraged to play "Games"
JEFFERSON -- Eligible veterans from around Jefferson County are encouraged to get into training to participate in the 34th National Veterans Golden Age Games set for Madison in 2020. JEFFERSON — The Jefferson County Board of Supervisors went hog wild Tuesday, giving the go-ahead to build an expanded swine barn and animal wash rack at Jefferson County Fair Park. JEFFERSON — Overall per diems and expenses for members of the Jefferson County Board of Supervisors dropped for a third consecutive year, a report presented to supervisors shows. 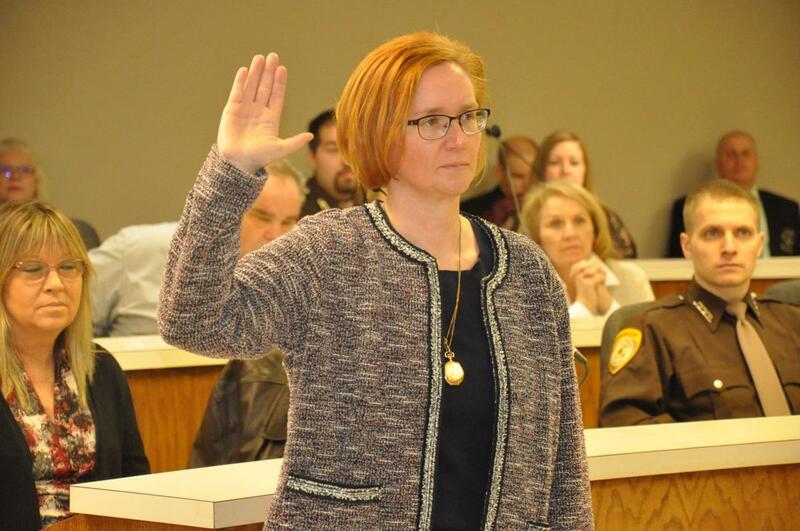 JEFFERSON — With little discussion Tuesday, the Jefferson County Board of Supervisors voted to retain its 30-member size. Cultural anthropologists have long observed that as societies become more complex and pressurized, such as that of the U.S. today, mental illness increases. One of the unfortunate eventualities of serious mental imbalance and despondency, as well as acute drug and alcohol dependence, can be suicide. Some healthy younger people also experience setbacks but lack the life experience to realize few situations, good or bad, last forever. Hence they chose to end their lives. Numerous law enforcement agencies in Jefferson and Dodge counties sent officers to Milwaukee Wednesday to honor their fallen brother, Milwaukee Police Department Officer Matthew Rittner. JEFFERSON — Nicole Ruder of Family Works said her agency alone receives around 900 requests per year to place children in foster homes statewide, but they’re only able to help around 50 of them. JEFFERSON — The Jefferson County Board of Supervisors approved several semi-related actions on future county planning and budgeting issues during its first meeting of the year Tuesday. 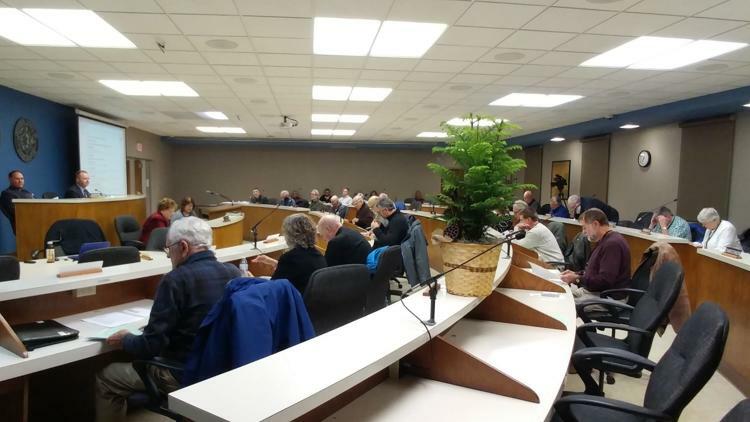 JEFFERSON — The Jefferson County Board of Supervisors on Tuesday undertook a lengthy discussion of possibly altering its size and committee structure. During a two-and-a-half-hour session following its normal meeting agenda Tuesday, the board debated dual proposals from Chairperson Jim Schroeder: one that would reduce the number of supervisors (and thus supervisory districts) from 30 to 25, and one that would combine the county’s 11 standing committees to seven. JEFFERSON -- As promised and officially scheduled, Jefferson County Board Chairman Jim Schroeder began 2019’s board functions with a provocative bang Tuesday evening when he made a pair of presentations designed to get supervisors thinking about how they are doing their jobs and where, or even if, improvements need to be made. New deputies who were sworn in and the sheriff's office administrative team. 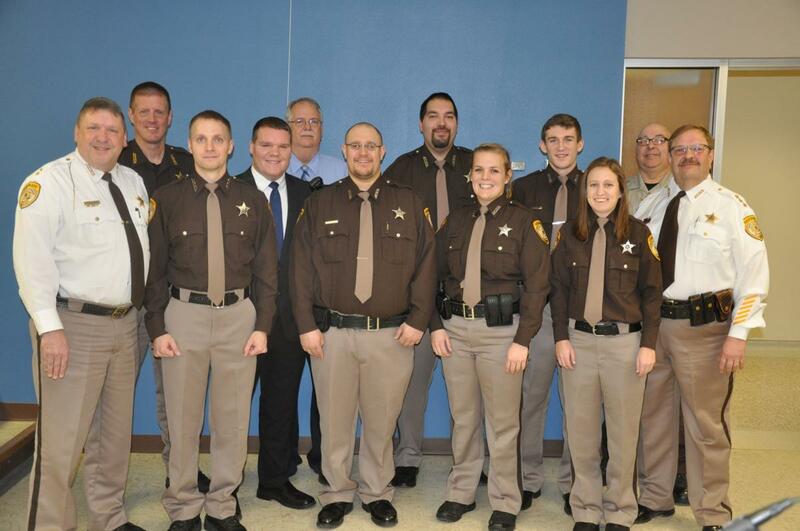 From left, they are; Chief Deputy Jeff Parker, aptain Jerry Haferman, Deputh Alexander Koeser, Deputh Ehrin Eisenberg, Captain Paul Wallace, Deputy Bryan Toland, Deputy Jarred Gonzalez, Deputy Thianna Wegner, Deputy Logan Dahnert, Deputy Courthey Jacobson, Captain Duane Scott and Sheriff Paul Milbrath. Republican Cindy Hamre Incha, takes her oath of office as the new Jefferson County Clerk of Courts. She ran unopposed to fill the position being vacated by Carla Robinson to earn a four-year term. Robinson served in the role for three terms. 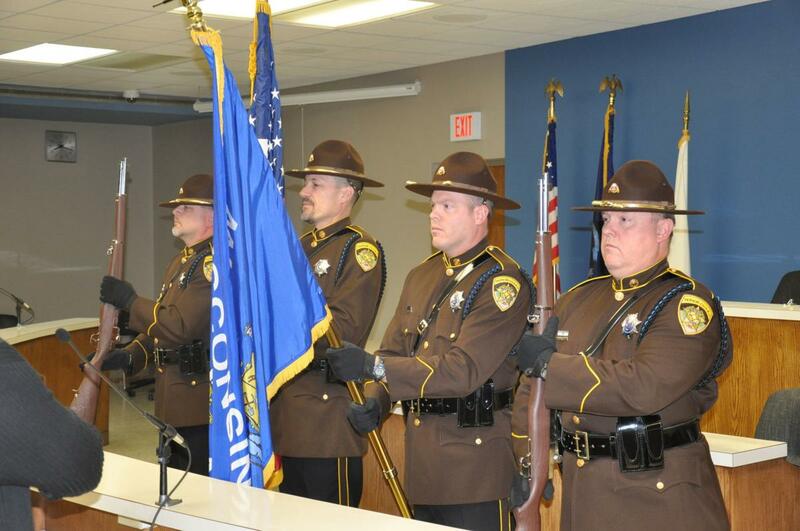 Members of the Jefferson County Sheriff's Office honor guard display the colors during the swearing-in ceremony. From left they are Deputy Scott Bondurant, Detective Chad Garcia, Deputy Eli Wiedenfeld and Deputy Thomas Klemke. Jefferson County Register of Deeds Staci Hoffman stands before newly sworn Deputy Logan Dahnert while he and the other six new deputies read the code of conduct prior to receiving their badges. JEFFERSON — Jefferson County Board Chairman Jim Schroeder has plans in early 2019 to again publicly examine the structure of one of the county’s most powerful governmental bodies — the board itself. JEFFERSON — While still preparing to play host in 2019, Jefferson County also will be the site of the 2021 Wisconsin Farm Technology Days. Next summer, the show will be hosted by the Walter Grain Farms in the Town of Milford owned by Mike and Sarah Walter from July 23-25. The 2021 show will be will be held at Jefferson County Fair Park. The Jefferson County Board of Supervisors met for its monthly meeting on Tuesday evening. Sadly, Supervisor Don Reese was not there, as he had passed away unexpectedly at home Monday. A plant was placed at his desk in the board chambers. 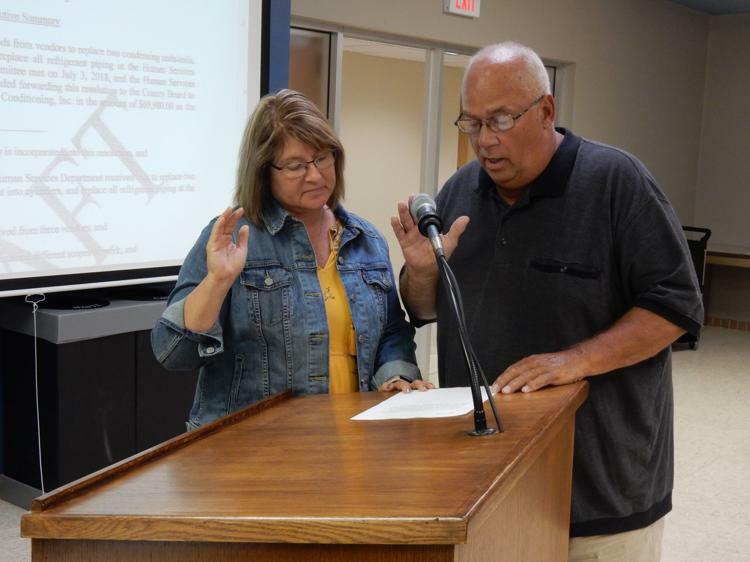 Reese also was chairperson of the Town of Farmington Board of Supervisors. JEFFERSON — The Jefferson County Finance Committee received input on the proposed location and construction of a new osteopathic college during a town hall-style meeting Tuesday night. JEFFERSON — Calling 4-H “the best youth development program in the world,” Kara Loyd says that the organization made her what she is today. JEFFERSON — The descent into drug use and addiction can happen any number of ways. An injury and the prescription of opioids as painkillers, trying to kill emotional pain through use of drugs … the reasons are as varied as the individualswho find themselves using and abusing. JEFFERSON — Thousands, perhaps millions, of hours of hard work were recognized at Jefferson County’s annual awards banquet Thursday, Nov. 1, with honors going out in categories ranging from leadership and volunteerism to fundraiser sales and outstanding achievement in various projects. JEFFERSON — Jefferson County-area voters will face a full ballot when they go to the polls Tuesday for the general election. JEFFERSON — The Jefferson County Board of Supervisors held a special meeting Tuesday, ostensibly a public hearing for the proposed 2019 county budget. However, the majority of the two-hour session focused on a solar farm proposed near Concord. JEFFERSON — Overall, the Jefferson County Fair ran pretty smoothly this year, but community members had a few ideas in mind to make it go even better in the future. JEFFERSON — Jefferson County’s 2019 tax rate is expected to be down about 16 cents per $1,000 equalized valuation from this year’s rate, the board of supervisors learned Tuesday. 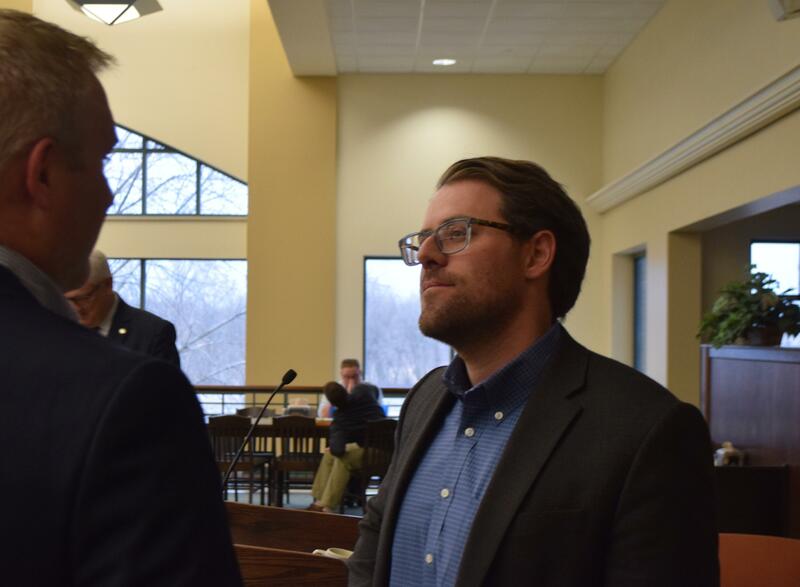 Jefferson County Administrator Ben Wehmeier told the board during its monthly meeting that the budget calls for a 2019 tax rate that is about 4.07-percent less than the 2018 rate. JEFFERSON -- The Jefferson County Finance Committee agreed Friday it will forward a proposed countywide tax levy of $27,636,322, with a corresponding tax rate of $3.99 per $1,000 of equalized valuation, to the Jefferson County Board of Supervisors Tuesday. JEFFERSON — Jefferson County has recorded a confirmed case of the West Nile virus killing a crow. This marks the first bird that has tested positive for West Nile in Jefferson County since surveillance for the mosquito-transmitted virus began May 1. JEFFERSON -- In keeping with its philosophy of being prepared for just about anything these days -- when almost anything can happen in government -- the Jefferson County Finance Committee and Administrator Ben Wehmeier took the plunge Monday into what will, come November, be the finalized 2019 county budget. 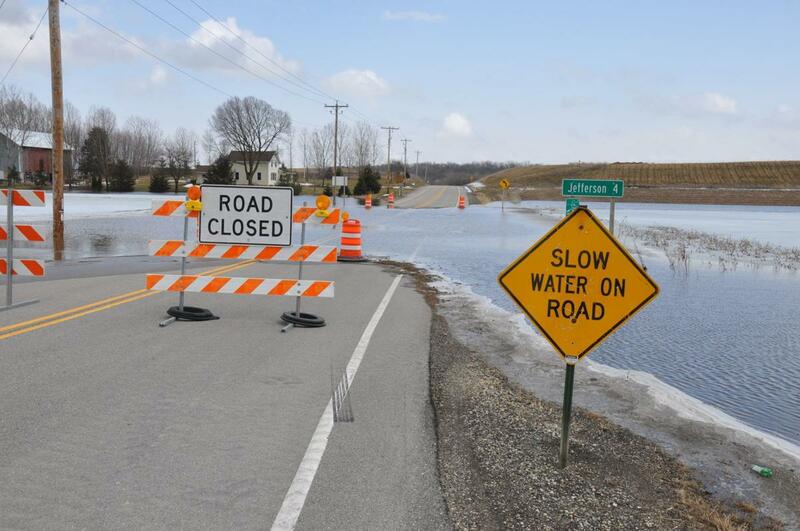 JEFFERSON --The amount of county tax levy being requested by the Jefferson County Highway Department is decreasing slightly in 2019 from the current year, but that doesn't mean the department is backing down from tackling road needs in its jurisdiction. If anything, the department is ramping up its efforts to provide smooth, safe driving surfaces and clean winter highways for the traveling public. JEFFERSON — The Jefferson County Board of Supervisors on Tuesday unanimously revised and reapproved purchasing a bridge to span the Rock River, connecting two sections of the inter-urban trail between Watertown and Oconomowoc. JEFFERSON -- Jefferson County continues to progress in its creation of attractive recreational alternatives for residents and visitors with the announcement today it will receive $1,102,840 to put toward development of the interurban bike/pedestrian trail from Watertown to Oconomowoc. JEFFERSON — The jobs of tomorrow require a lot more than the ability to make widgets. August 24, 2018 HAPPY 15TH! The Rock River Free Clinic (RRFC) celebrated its 15th anniversary Thursday afternoon with live musical entertainment and a free build-your-own ice cream sundae reception, featuring custard donated by Culver’s. Guests also were invited to sign up for door prizes donated by numerous area businesses, organizations and individuals. The free clinic, a full-time operation which sees patients each weekday, is supported by Fort HealthCare, Jefferson County, the United Way of Jefferson and North Walworth Counties, and numerous individuals and service organizations. During its 15-year existence, the clinic has provided almost 30,000 medical office visits for members of local communities. JEFFERSON — The Jefferson County Board of Supervisors approved moving forward Monday with an advisory referendum that would address a perceived tax loophole for national and regional retail stores. JEFFERSON — In recent years, Jefferson County has seen a relatively significant turnover of its judges and Friday saw yet another addition to the historic list of law experts who have presided on the bench here as William Gruber became Branch I Circuit Court judge. 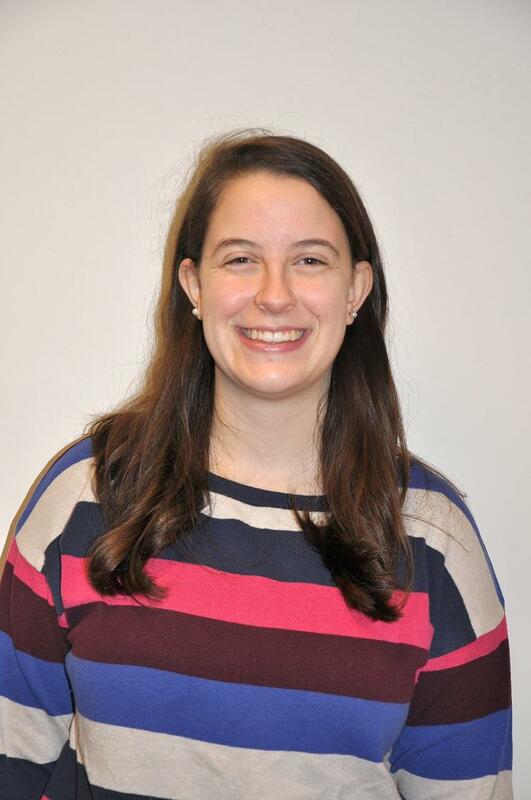 Gruber, who was most recently Watertown’s city attorney, replaces the retiring Jennifer Weston. William V. Gruber became Jefferson County's newest circuit court judge during an investiture Friday at the Jefferson County Courthouse. Shown here, Judge Robert Dehring Jr. swears in Gruber, whose wife, Annie, is holding the Bible. On Tuesday, Jefferson County-area electors will be going to the polls to cast ballots in partisan primary elections for federal, state and county positions. In addition, those in the Waterloo School District will be voting on two referendum questions regarding updating the high school. WATERTOWN — If you really want to help kids, you can make the most difference while they’re young. 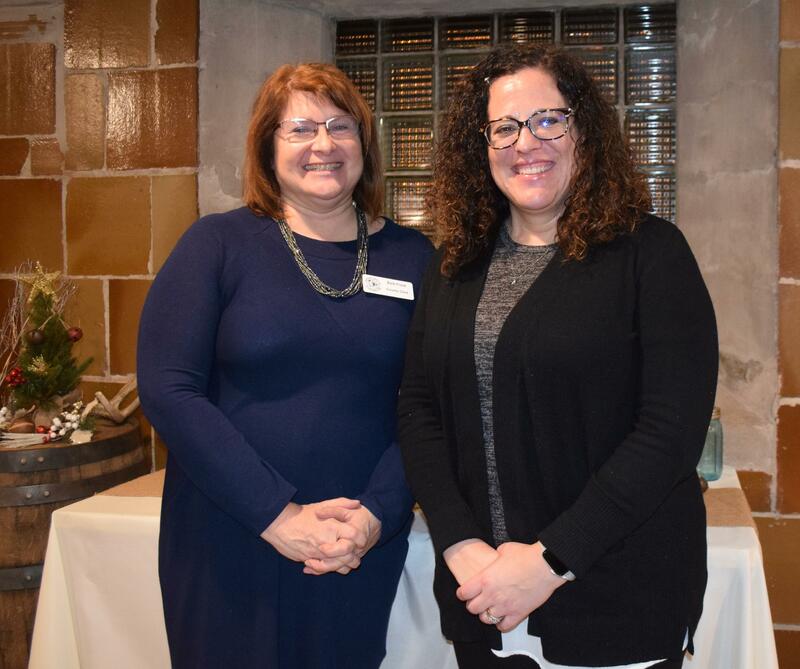 Helping local parents and communities maximize their children’s learning and development at an early age is the goal of a new initiative being funded by the Greater Watertown Community Health Foundation. Cooperating in this effort are the Jefferson County Health Department, Jefferson County Human Services Department, and numerous other area agencies, nonprofits and professional organizations in the field of child development. JEFFERSON — The Rock River Clinic is celebrating its 15th year with a public “make-your-own-ice cream sundae” gathering Thursday, Aug. 23. 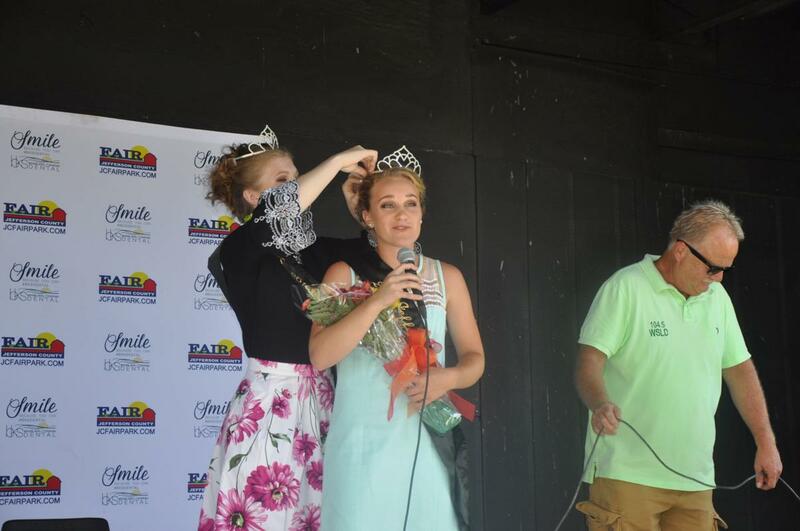 Libby Knoebel, Helenville, is crowned 2019 Fairest of the Fair by 2018 Fairest of the Fair Kiley Eck. The crowning took place Sunday at the Kids' Stage. Knoebel will reign over the 2019 Jefferson County Fair. For more photos, click here. 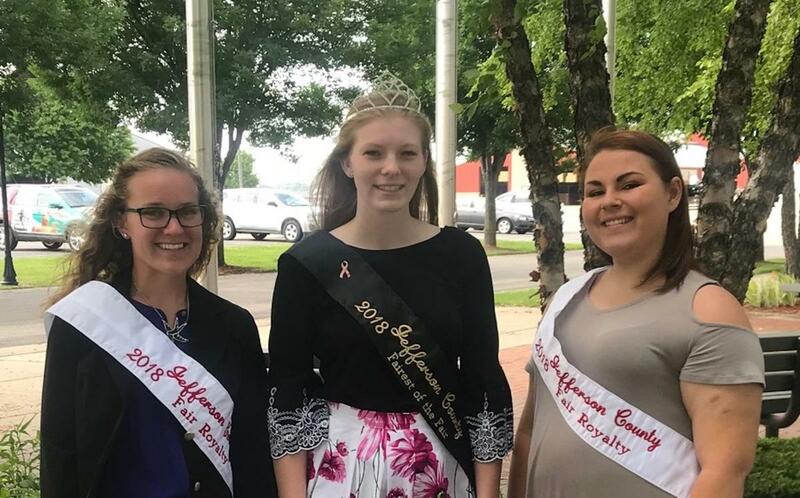 JEFFERSON — A childhood dream became a reality for Libby Knoebel on Sunday when she was crowned 2019 Fairest of the Fair. The Fairest of the Fair competition was just one part of the 166th Jefferson County Fair, which concluded its five day run Sunday. Knoebel was selected by the judges as this year’s winner and was crowned by 2018 Fairest of the Fair Kiley Eck at the Kids’ Stage just prior to the International Demolition Derby. 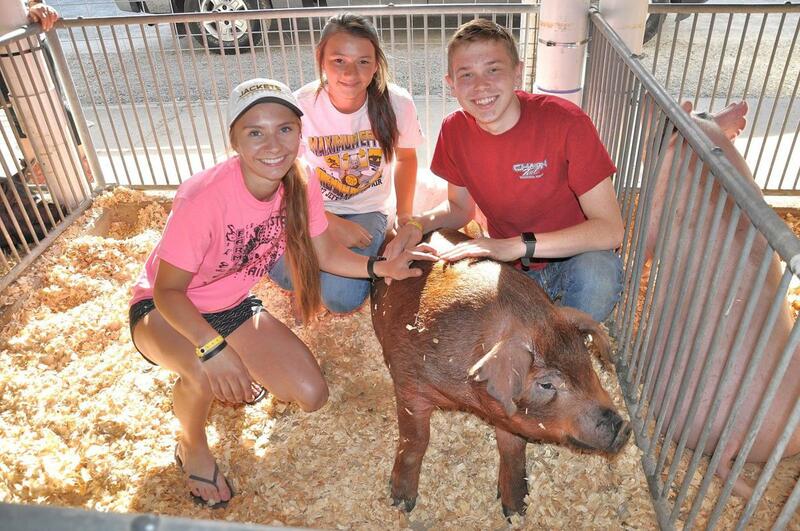 The 166th edition of the Jefferson County Fair continued through Sunday. Despite warmer temperatures, large crowds continued to pass through the gates to enjoy the wide range of entertainment and fun available for all ages at the fair. Fore more photos click here. The 166th edition of the Jefferson County Fair continued Thursday. Despite warmer temperatures, large crowds continued to pass through the gates to enjoy the wide range of entertainment and fun available for all ages at the fair. For more photos, click here. Emma Wiltziusm, Fond du Lac, looks on as Big Jake, the tallest horse in the world, touches noses with Bear, a miniature horse. Olivia Jennrich, 11, Jefferson, Rock River Clovers 4-H Club, feeds her pig, Bailey. Jaden Greenlee, 15, holds Britlyn Greenlee, 18. Both are from Rockford, Ill. and were at the fair to show draft horses. Kyle Duddeck, 21, Helenville, of Duck Creek Farms, bathes a horse. The Badger Truck Pull took place Thursday evening. During the music and drama judging Thursday, Elliott Small, 11, Watertown, a member of the Ixonia Victory 4-H Club, performs a guitar solo. During the music and drama judging Thursday, Anastasia Rockman, 15, Sun Prairie, a member of the Waterloo Wonder Stars 4-H Club, performs a flute solo. Winning the “top cat” award for the Jefferson County Cat Project during cat judging Thursday was Anneka Schuld, 9, Jefferson, with “Charmin,” a domestic shorthair with pointed chocolate lynx coloring. Chloe White-Witte, 7, of Stoughton, enjoys playing in the corn box. The showmanship competition for goats. Kimmy Roidt, 9, left, of Cambridge and a member of the South Side Eagles 4-H Club, and Sarah Repsuner, 10, of Fort Atkinson and a member of the Lake Ripley 4-H Club, hold their goats. A competitor handles her goat during the showmanship competition. The Jimmy Hartwig Band played in the Miller Lite Tent. Lillian Small, 10, Watertown, a member of the Ixonia Boosters 4-H Club, holds her cat “Elf” prior to cat judging Thursday morning. Skyla Goodearle, 12, Fort Atkinson, a member of the Hebron Helping Hands 4-H Club, gets an impromptu “kiss” from her alpine goat Akoda as they prepare for Thursday morning's goat judging. Don Finger of Wausau, a professional cat show judge and vice president of the American Cat Fanciers Association, judges the animal owned by Kayla Kehoe, 11, Fort Atkinson, a member of the Stone School 4-H Club. Hunter Jacobson, 12, Aztalan, a member of the Twin Rivers 4-H Club, directs his pig “Scribbles” during the “bred and owned” swine class judging Thursday morning. David Laatsch, Beaver Dam, a longtime agriculture teacher, judges eggs in the poultry barn Thursday morning. 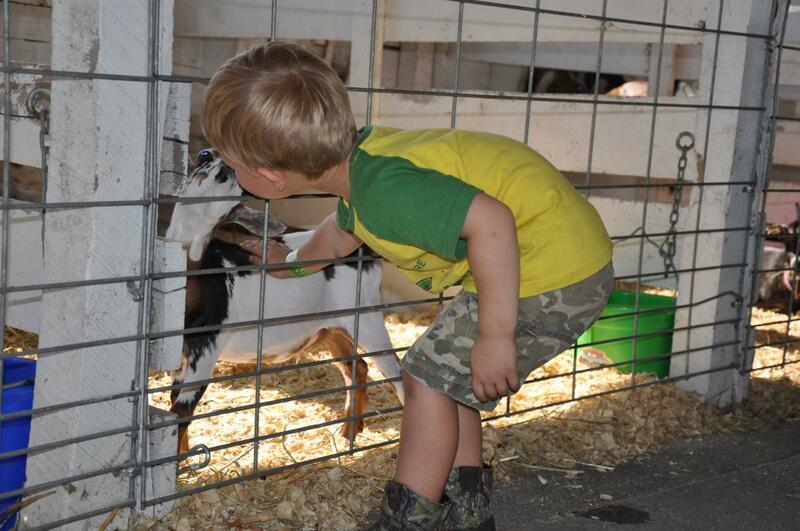 Reed Woolley, 3, Lake Mills, gets a kiss from a baby goat during Day One of the 166th Jefferson County Fair. JEFFERSON — The 166th Jefferson County Fair kicked off Wednesday beneath blue, sunny skies, drawing crowds of all ages to enjoy Kids’ Day. 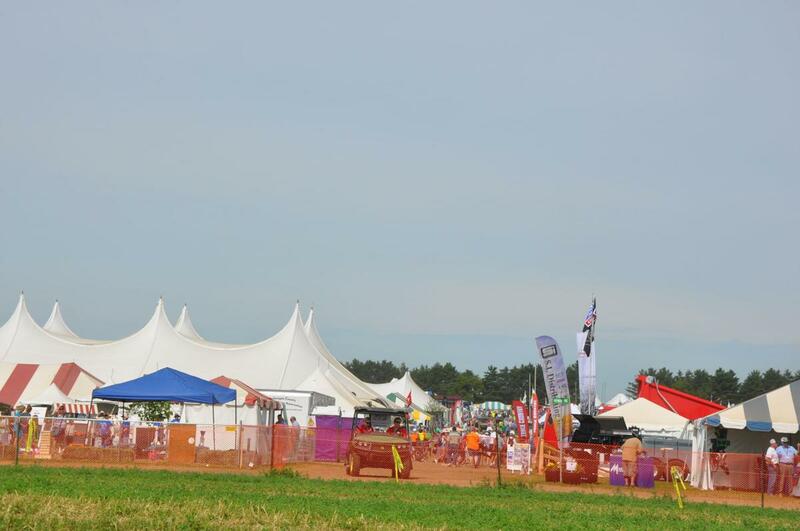 Jefferson County will be playing host to the 2019 Wisconsin Farm Technology Days. As such, representatives are in a hospitality tent at this year’s event, which kicked off Tuesday in Marshfield. Shown above, left to right are Brad, Sarah and Mike Walter, of Grellton in the Town of Milford, who are some of the hosts of the 2019 Farm Technology Days. Jefferson County Clerk Barb Frank swears in new Supervisor Roger Lindl. JEFFERSON — The Jefferson County Board of Supervisors on Monday voted 23-4 to approve a resolution calling for a delay in private companies utilizing the eminent domain law until the state Legislature has conducted a legislative review of that law. Tuesday was animal-in day and, for some, judging day is the final day of preparation for the 2018 Jefferson County Fair. 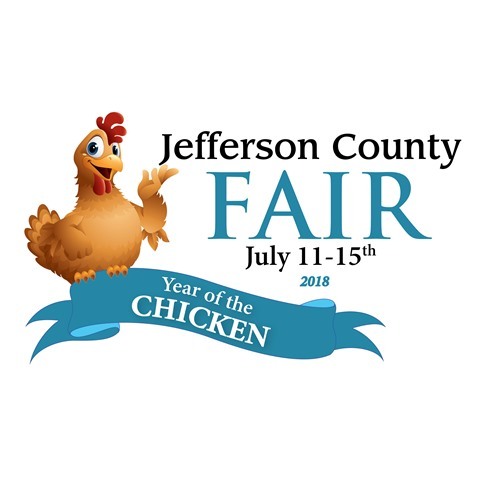 The 166th fair started today and runs through Sunday, July 15, with fun and entertainment for the whole family in celebration of the “Year of the Chicken.” Daily adult admission at the gate is $10. 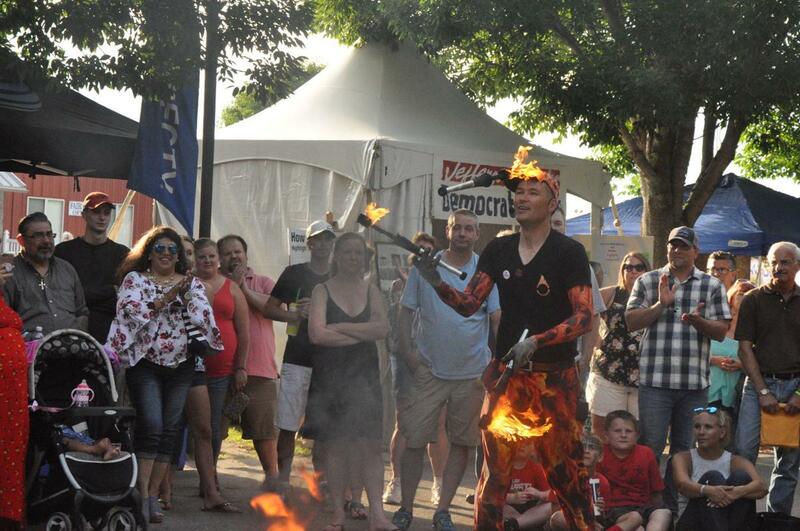 Highlights of this year’s fair include Sea Lion Splash,High Flying Pages Aerial Thrill Show and Brant the FireGuy, a fire juggler and street performer. For more photos click here. 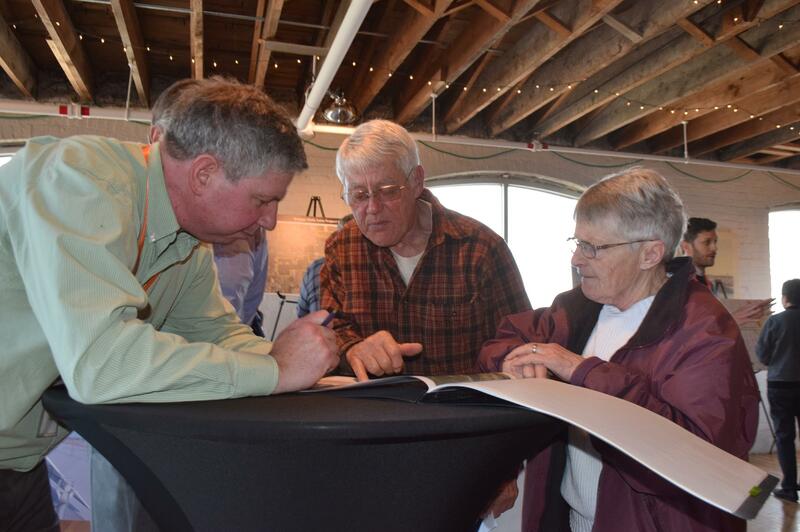 JEFFERSON — In the first of this four-part series, the Daily Times discussed one of the major projects accomplished in Jefferson County through intergovernmental cooperation, that being the Glacial Heritage Area. JEFFERSON — As Jefferson County addresses what its administrator Ben Wehmeier called “big policy issues,” its county board Chairman Jim Schroeder weighed in on how he views the modern-day interplay among the county, school districts, law enforcement and municipalities and how it should continue to evolve. JEFFERSON -- Of community leaders interviewed for this series on intergovernmental cooperation in Jefferson County, perhaps the most pragmatic was Jefferson City Administrator Tim Freitag. A view of Tent City from the edge of the parking area. When the 2018 Wisconsin Farm Technology Days kicked off Tuesday in Wood County, representatives from Jefferson County were there to help promote next year’s event. 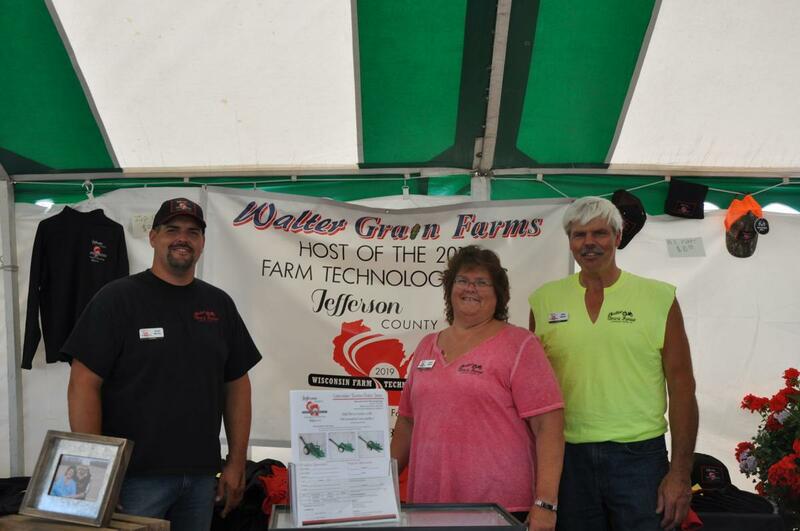 Jefferson County will play host to Wisconsin Farm Technology Days (WFTD) for the third time when it takes place on Walter Grain Farms in Grellton in the Town of Milford on July 23-25, 2019. Mike and Sarah Walter, who were among those representing Jefferson County in Wood County, were announced as the 2019 host farm in January 2017. They farm 6,000 acres with two of their sons and their wives, Adam (Heather) and Brad (Kristi) Walter. For more photos, click here. Left to right rae Libby Knoebel, 2018 Fairest of the Fair Kiley Eek and Natalie Ciciva. JEFFERSON — Recent years have seen many positive changes in the ways governments work together in Jefferson County to get projects done. This improved approach to working together has been engendered by open-mindedness and increased levels of education on the concept among those in prominent positions of county leadership and municipal government, as well as their exposure to other governments they’ve seen having success through teamwork.